The idea of bringing home a baby only like 24-48 hours after she’s introduced to the world made me panic for weeks before she was due. That’s just like 2 days (at most) of nurses helping me! Babies don’t come with a manual, but they really should. 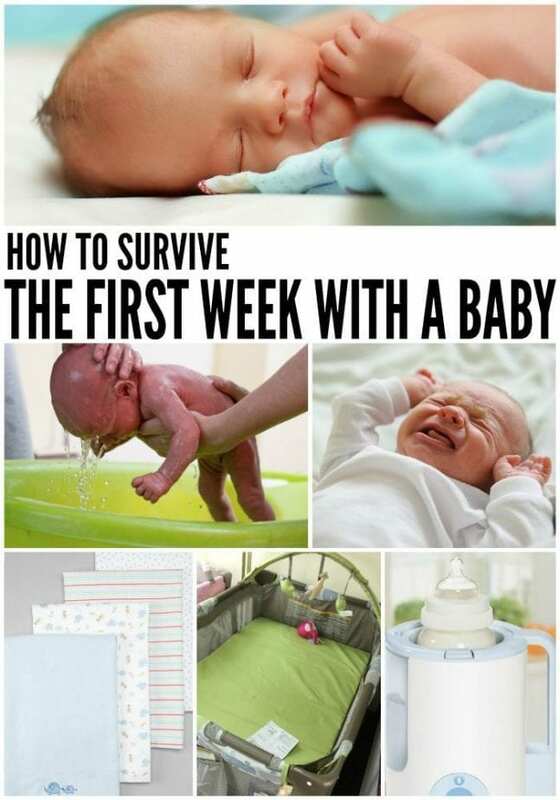 Since I’ve done this a couple of times now, though, I feel like I might finally know How to Survive the First Week Home with Baby. Or, I may be deluding myself. Either way, it’s a good plan. The “you’ll get sleep while in the hospital because nurses will help” idea is a lie. The thought that you’ll get some last-minute much needed sleep because ya know, nurses will help care for your baby once you’ve had her so you can get some sleep. You see, this time around our hospital’s policy had changed and they encourage (more like force) moms to have their baby the entire time in the hospital unless the baby is needing to be monitored in the nursery. 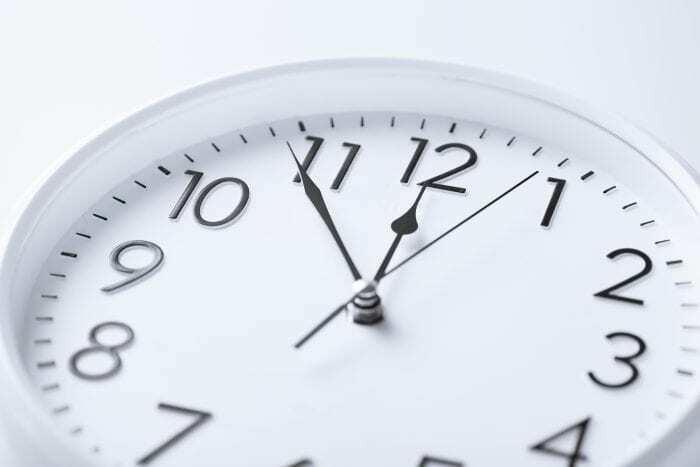 Even then, they have a 3-hour time limit. In fact, my daughter was a bit spitty after she ate so they took her for monitoring for 3 hours and I am not lying when I say they brought her back into the room to the minute when the 3-hour limit was up. Look, I am not complaining because my baby is my responsibility and I don’t disagree with the mom/baby bonding that can happen with being together all the time. I was just surprised and a bit sleep deprived. The plan for surviving it all. The good, the bad, the sleep deprived and the dirty diapers. Having a plan made me feel so much better. I’ll be remembering all of this should I ever end-up with a bun in the oven again! LOL! Each time I’ve had a baby, my panic has mounted as my due date neared. And on the day-of I totally got the “deer-in-the-headlights” feeling when they said she was about to be my responsibility. EEP! But look, I’ve survived and so can you. I had my moment (or moments) of panic and then I moved on to be a damn good mom and if you or someone you know is having a baby soon, you’ll be thankful you came across these tips because you’ll be a damn good one too! If you have a partner, you need to talk about sharing duties beforehand. Babies eat every 3-hours and experts will tell you that your baby should never sleep more than 4 hours without being woken to eat. Not to mention their poop and sleep cycle are about the same. Let your partner (or mom or whoever is helping you out) feed the baby at midnight and 6am while you take the 9pm and 3am. Even if you’re breastfeeding, pump some during the day so that you can sleep through at least one of those two feeds, even if it’s every once in a while. Sleep is the only way you are going to survive this new mom thing. The Power of the Swaddle. Most babies like to be swaddled and it’ll help them go to sleep and stay that way. Babies love to feel comforted and secure just like they were in the womb so ask the nurses to show you how to do it several times. It’s an art. Learn it. Love it. Repeat. And most importantly, buy like 100 receiving blankets so you can do it always, especially while baby needs help regulating his/her temp. Be sure to get soft ones. Baby’s skin is brand new. There’s nothing more annoying than having had an epidural or spinal in your back and it aching for weeks afterward because of your bad posture when you feed your baby. 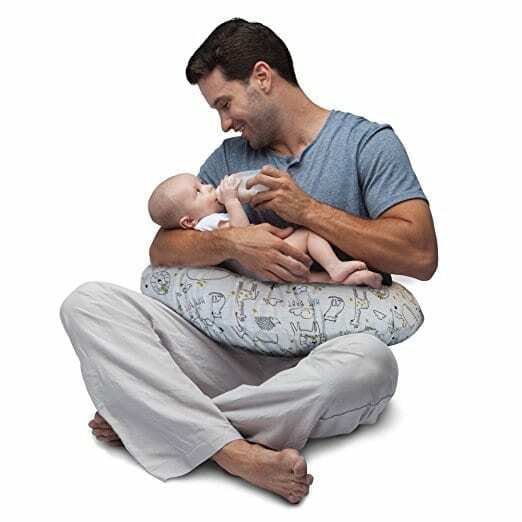 Get a Boppy Pillow and use it whether you’re bottle feeding or breastfeeding. The support is amazing and it will save your arms, neck and back from hurting. Don’t be like me. I thought they were superfluous. I was wrong. They rock!!! If you were to ask me one must-have baby item besides all the basic obvious necessities, I’d say the Boppy Pillow hands down! You need to eat to keep up your strength, keep you from being cranky and to make sure your breastmilk comes-in and stays strong. Drink lots of water, too. I mean, when you think you’ve had enough water, drink more. There is always room for MORE WATER. This goes for your partner as well. An epidural or spinal can take some time to get over being sore. Also, your whole center of gravity just changed. So, try laying-off your back. Think smart before bending. For example, I don’t know who came up with it, but the inventor of the “second shelf” in the playpen needs a Nobel Peace Prize. I can change a diaper in that and put baby to sleep without hardly bending. No more backache for me. Imagine a scenario where you’ve been up for over 24-hours while someone tiny and cute yells at you that their 5th dinner isn’t ready, it’s 3am and now you have to microwave water?! The bottle warmer can shave anywhere between 3-5 minutes off warming a bottle. Apply that theory to everything and find time-shortcuts. Or just let baby cry. You decide. We have way too many things now. Little outfits (dirty and clean), 100 receiving blankets (again, dirty and clean), bottles (OMG, dirty and clean), breastfeeding equipment (gah! there’s a trend! ), and diaper change materials (yup, both kinds). I have 8 laundry baskets, 45 tubs, 99 wicker baskets and I still don’t have enough. But if I didn’t have all these, there’d be chaos in the streets. I need organization so I can find my brain and so do you. Find time in your day to organize everything a little at a time. Once you’re done, you’ll feel so much better about things! Because I can’t get enough of my adorable daughters, I decided a video was in order! 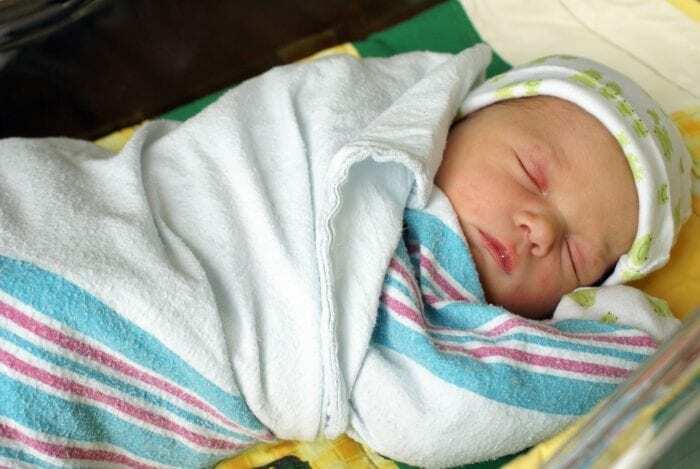 In the video, I show you how to swaddle a tiny baby with your receiving blanket, illustrate the awesomeness of the playpen’s upper-tier seating section, and the benefit of using a Boppy instead of a standard pillow. 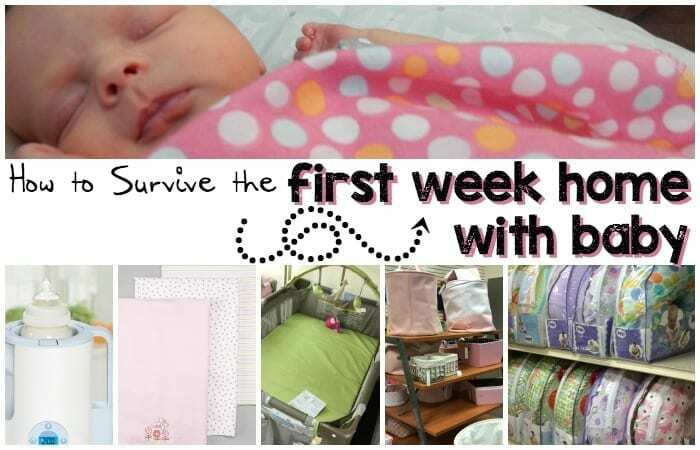 And just like that, you’ll be a total pro at this whole mom thing and survive the whole first week like it was nothing! 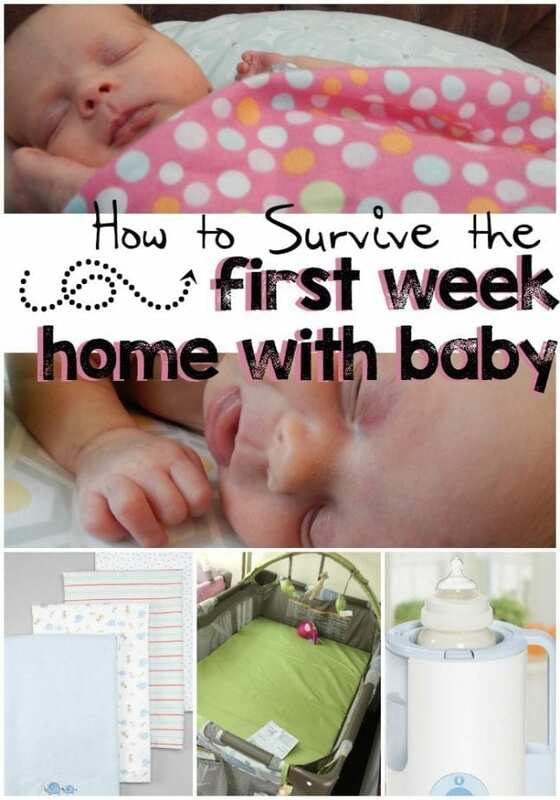 Keep in mind that this is the MINIMUM of what you will need to survive that first week baby is home. If you really want to do more than just get by, go ahead and hire a night-nurse. That’s really the only thing that could make your life much easier! LOL!